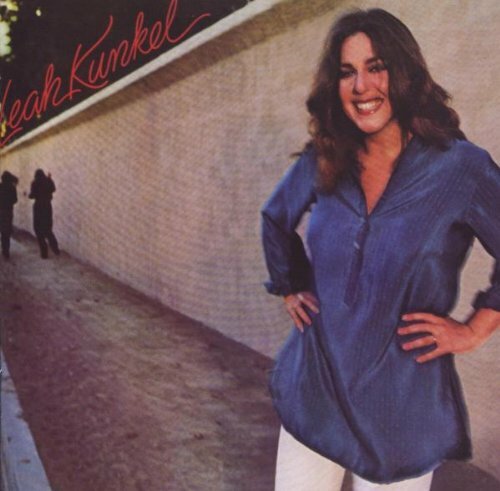 Leah Kunkel was born Leah Cohen on June 15, 1948 in Baltimore, Maryland. She is the younger sister of Cass Elliot from the folk rock vocal group The Mamas & the Papas. In 1968 she married American drummer and music producer Russ Kunkel. Following her sister’s death in 1974, Kunkel was given custody of Cass Elliot’s daughter, Owen. The couple also raised their son, Nathanial. After being signed to Dunhill records, Kunkel recorded her first album Billy under the name Cotton Candy.She performed with a few bands and continued growing as a singer and songwriter. In 1972, she appeared as a guest vocalist on Jackson Browne’s debut album, performing the countersong on “From Silver Lake”. Following additional session work with Stephen Bishop, Carly Simon, and Arlo Guthrie in the early 1970s, Kunkel appeared on Handy Man (1977) by James Taylor. That same year, she appeared on Watermark by Art Garfunkel, who relied on her vocal harmonies for his subsequent albums Fate for Breakfast (1979), Scissors Cut (1981), and Lefty (1988). Garfunkel became a mentor to her, and helped to get her a recording contract with Columbia Records in 1979. In 1979, Kunkel released her first album for Columbia Records, which featured several of her own compositions. The self-titled album produced one single, “Step Right Up”. The following year he released her second solo album for Columbia, I Run With Trouble. In 1980, Kunkel teamed up with Marty Gwinn Townsend to form the Coyote Sisters.They released their first album The Coyote Sisters in 1984 on Lorimar Records. A followup album, Women and Other Visions, was released in 2001. The Coyote Sisters continue to perform.